In celebration of our nation declaring its independence 237 years ago, today’s spotlight is—of course—on the Declaration of Independence. The National Archives is its permanent home. On July 4, 1776, the Second Continental Congress adopted the Declaration of Independence in which the American colonies set forth a list of grievances against the British Crown and declared they were breaking from British rule to form free and independent states. 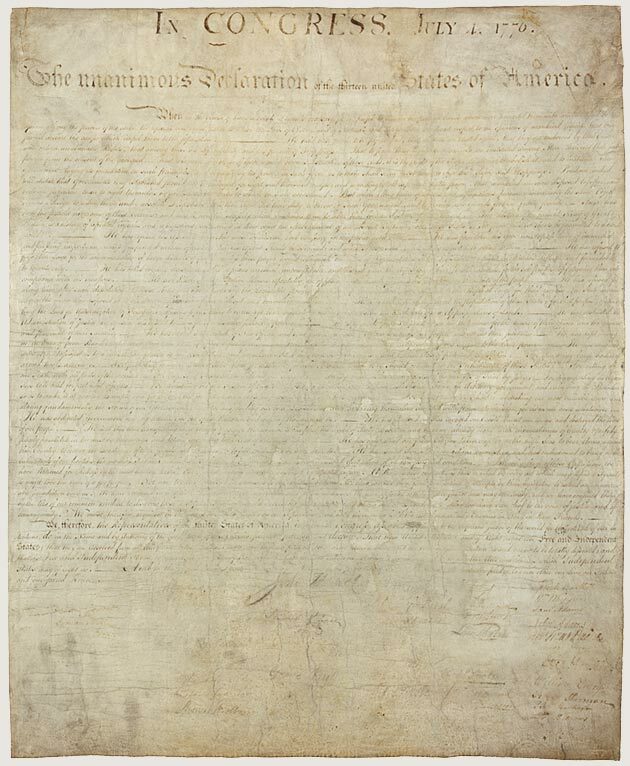 On July 19, 1776, Congress resolved that the Declaration passed on the 4th be fairly engrossed on parchment with the title and stile [sic] “The unanimous declaration of the thirteen United States of America” and that the same, when engrossed, be signed by every member of Congress. The engrossing was most likely done by Timothy Matlack, an assistant to Charles Thomson, Secretary of the Congress. 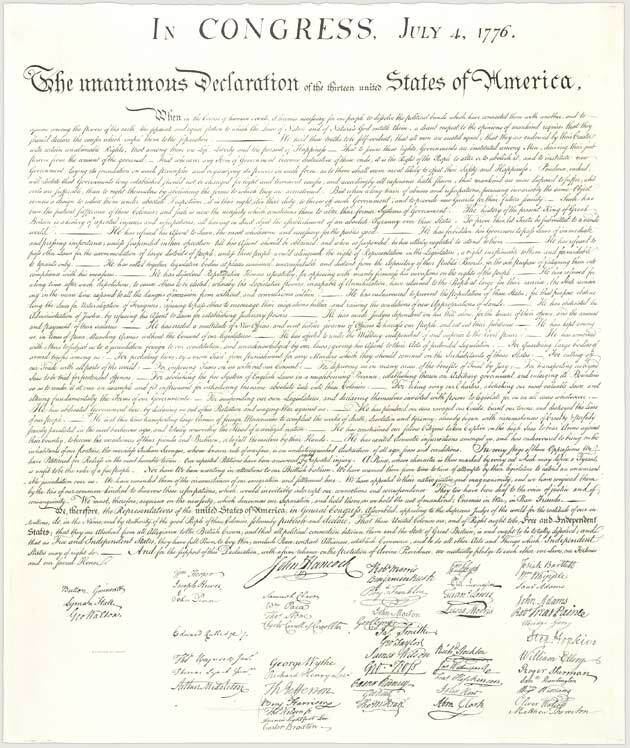 Although it bears the date “July 4, 1776,” the engrossed Declaration was signed on August 2, 1776, by members of the Continental Congress who were present that day and later by other members of Congress. A total of 56 delegates eventually signed the document. The original document has faded badly—largely because of poor preservation techniques during the 19th century. Today, this priceless document is maintained under the most exacting archival conditions possible. “Print #3” of the Declaration comes from the engraving made by printer William J. Stone in 1823 and is the most frequently reproduced version of the document. You can learn more in our Charters of Freedom online exhibit and teach with these and other documents related to the Declaration of Independence on DocsTeach.